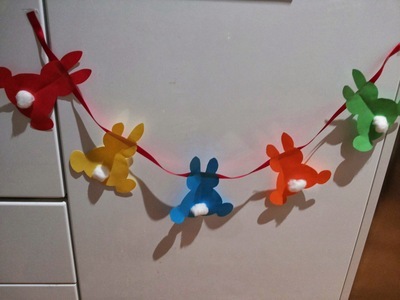 Make this cute bunny bunting this Easter. Decide the size of bunny you want to draw, accordingly take a plain paper. Fold it in half. Draw half bunny and cut it out. Parents can help here. 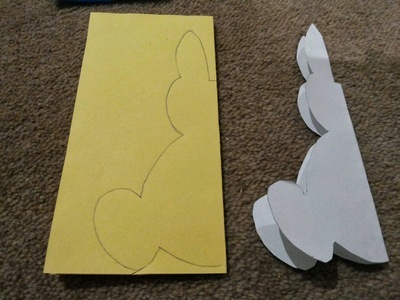 This will be the stencil for your bunny. Whichever paper you choose, try using something colourful. Fold it in half and trace the previously cut stencil on it with a pencil. Cut on the tracing. It is up to you how many bunnies you want in the bunting. 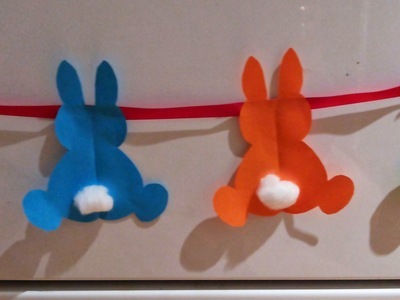 Now paste the bunnies on a ribbon, leave space between two. You may either create front or back of the bunny. I have created the back by pasting a small cotton ball as the tail. You may create the front by drawing eyes, nose, ears, whiskers, feet. 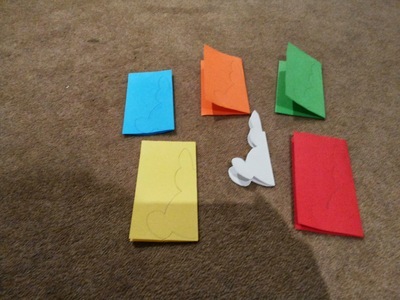 If coloured paper has been used these details won't be seen so create the backside. 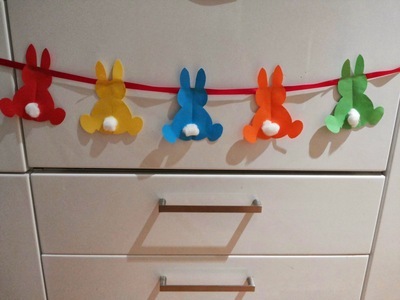 Hang your bunny bunting amongst other Easter decorations.